According to a recent news report from CBS Local Boston, a man was killed in a three-vehicle car accident in Methuen. A Massachusetts State Police spokesperson released a statement saying the driver of Honda Accord was in the southbound lanes when he allegedly veered into the breakdown lane for reasons not yet known. After the Honda Accord allegedly entered the breakdown lane, authorities say it collided with a flatbed tow truck hauling a car, also in the breakdown lane of the side of the southbound travel lanes on Interstate 495. After colliding with the flatbed tow truck, the Accord further lost control and headed back into the roadway, where it allegedly collided with another vehicle. Massachusetts State Police has released the name of the victim in this fatal three-car accident on I-495 in Methuen and said he was 24 years old and lived in Lawrence, Massachusetts. Authorities are still investigating the cause of the fatal traffic accident and do not yet know if the deceased victim was the driver of the car responsible for the crash or not. 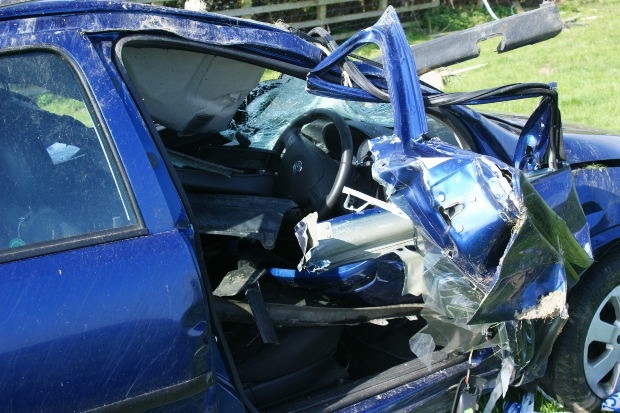 As our Boston car accident lawyers can explain, in the case of a fatal car crash, the Massachusetts State Police are required to conduct a full accident investigation, where they were will likely use an accident reconstruction specialist. There are a variety of tools accident reconstruction specialists can use to figure out exactly what happened. Whether it is an accident reconstruction expert hired by your car accident lawyer, or one working with the Massachusetts State Police, the first thing to do is speak to witnesses to see what they said happened. While eyewitness accounts are obviously very helpful, it is important to understand that people do not always have time to accurately process what happened and may tell differing accounts of the same accident. Another helpful thing is to measure distances at the crash scene, take pictures to see how far and what direction debris was thrown, and look for skid marks or tire tracks on the road surface. It is also important to record the weather and light conditions as close to the accident as possible. There is also an electronic device in all modern vehicles, which may assist accident reconstruction specialists in determining exactly what happened. The device is a black box similar to those we often hear about following the crash or disappearance of a commercial airliner. The black box will record the vehicle’s speed, what switches were being operated at the time of the crash, what lights were illuminated, and other similar information. While this device can be extremely helpful, it is important to understand they are much less sophisticated than the black boxes found on commercial airlines. For example, the black box on a car is not recording all conversations in the passenger comportment and is not tracking the movement of the vehicle the recording sensors of a plane are capable of tracking. While all of this equipment can be very helpful, it is only helpful if it can be preserved and used by your car accident attorney to assist you with your case. Much of this evidence will not be around forever, so the faster you speak with an experienced attorney the better.